It's time for a new sketch at Card Patterns, this week we're sponsored by DRS Designs. Each design team member was given some stamps to use on their cards this week from DRS Designs. I was given a shamrock motif stamp, a fun leprechaun and a sentiment. I'm not really a big fan of leprechauns but it was fun to do something different. Here's this week's sketch. 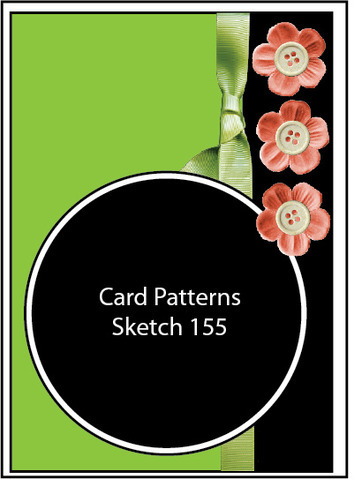 Pop over to Card Patterns to see what the rest of the design team have created. If you have time to play along this week there's a great prize up for grabs and a chance to be a guest designer at Card Patterns. 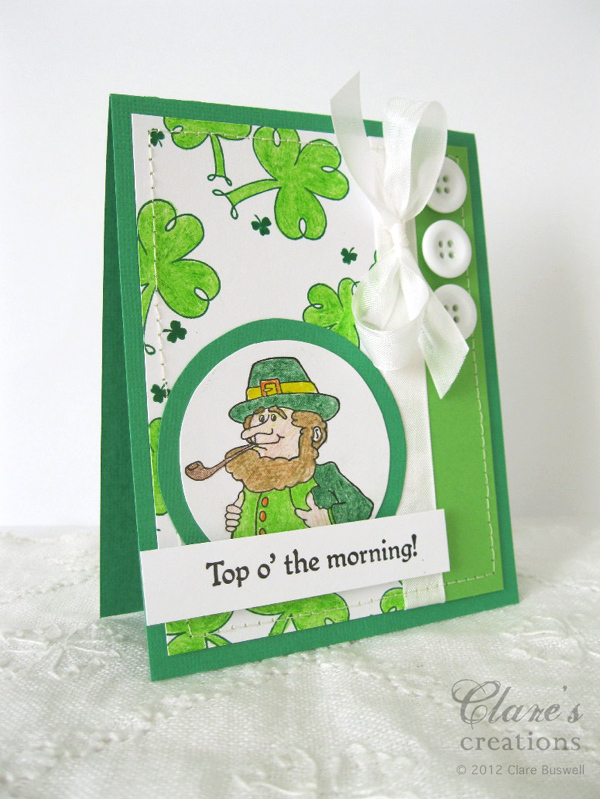 Labels: Card Patterns, St.Patrick's Day. Fabulous card and great colouring! The white buttons and ribbon look great here. Super cute card, Clare! Your stitched frame looks wonderful, and I love the white accents.